When we decided to focus on Carlsville for this issue, I thought, great! I sort of knew the history. It was named for a bunch of guys named Carl who lived in the area. But it did not take long to be sidetracked from the hilarity. Up until about mid-year 1906, the community was known as Karlsville. More interesting than how it got its name, I thought, is how it went from Karlsville to Carlsville. So I started researching through local media. I went into it searching the World War I years when anti-German sentiment was so strong here and elsewhere. But, no. It was already known as Carlsville when WWI unfolded. The final newspaper reference to Karlsville came in the February 1, 1908 edition of The Door County Democrat, which listed Karlsville in a graphic that named all the creameries and cheese factories in the county. I’m thinking the Democrat didn’t get the memo that the name had been Americanized to Carlsville, because by then, every other outlet referred to it as Carlsville. 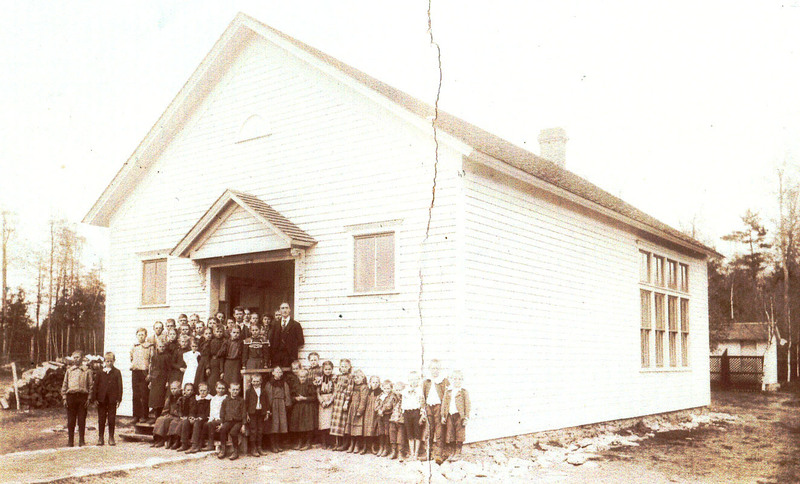 Photo courtesy of the Door County Historical Museum. So somewhere between May and August 1906, Karlsville became Carlsville. There is nothing in any of those newspapers to indicate why the change was made. The date surprised me. 1906? No one was talking about dirty Huns then, were they? I looked and, no, they were not. The massive Americanization of all things German took place during the war hysteria of WWI. Sauerkraut became liberty cabbage. Pretzels were removed from free lunch counters in Cincinnati saloons. Schmidts changed their names to Smiths. East Germantown, Indiana, became Pershing, Indiana, after General John “Black Jack” Pershing, who led American forces in WWI. A Michigan congressman introduced a bill in 1918 that would require all German place names in America to be Americanized. The wave of superpatriotism led Congress to pass the Espionage Act, which, among other things, required German language newspapers to supply English translations. Thousands of German-Americans were interned in concentration camps, many on minor infractions. So it seemed natural that the Americanization of Karlsville must have taken place during the anti-German hysteria of that time. But no, the drive to assimilate pre-dated the war. Yes, let’s be Americans! In Door County! In 1906! Give me a C! While I don’t really agree with the young community’s lock-step need to Americanize, I absolutely understand it. Still, being a fan of words and how they look and work, doesn’t Karlsville seem somehow more exotic than boring old Carlsville? Give me a K! The name change is also a beautiful illustration of the melting pot this country has always been. People are happy to forego the past for a united future together. But, wait, that is not the end of the story. Turns out a bunch of guys named Karl did walk into a bar. Local historian John Enigl said he was told the story by a daughter of the owners of Areals Bar. John Areals and his wife owned a tavern/dance hall in the as-yet unnamed area that is now known as Carlsville. He was having a big dance and on his posters he told people to come to Arealsville for the dance. Well, Areals is a Belgian name, and the region he proposed to name was occupied predominantly by Germans. So a group of those Germans gathered and paid a visit to the Belgian barkeeper and told him his name would not do for their community. What do we call this place? One account credits Mrs. Ida Eichinger, wife of cheesemaker John Eichinger, for suggesting the name. With the preponderance of Karls in the area, she asked, why not Karlsville? Imagine, then, that all the Karlsville Karls (and a few Carls) — Karl Krauel, Karl Krueger, Karl Schultz, Karl Wolzien, as well as Carl Goll and Carl Schuster — are in the room for this suggestion. Was there a resounding, hip, hip hooray? I scoured the newspapers of the day. I talked to various clerks who might possibly have access to historic documents. I searched every source I could think of, and I could come up with nothing documenting why Karlsville became Carlsville. So I called local historian George Evenson. He thinks it was just part of a general movement of immigrants assimilating into the new American culture, to them now saying, forget our European pasts, we are now Americans. John Enigl agreed. He said a school was established in the area in 1902, which was probably another motivation to Americanize names. 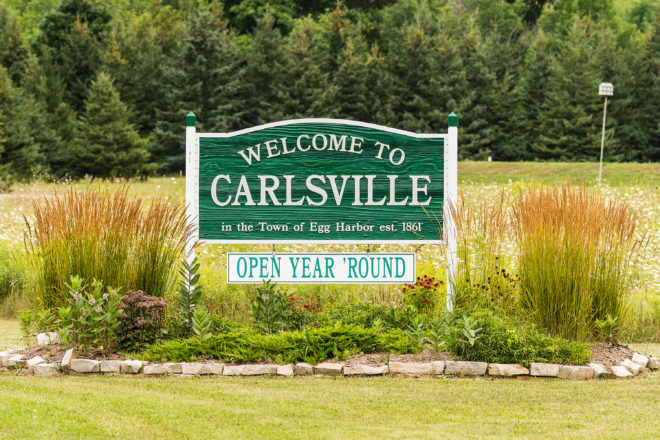 So think of the Carlsville name change as an experiment in being full-throated American.